Since 2013, the Resilience Academy has brought together academics, practitioners, policy analysts to discuss topics relating to livelihood resilience and Loss and Damage in the face of extreme weather events and slow-onset climatic changes. 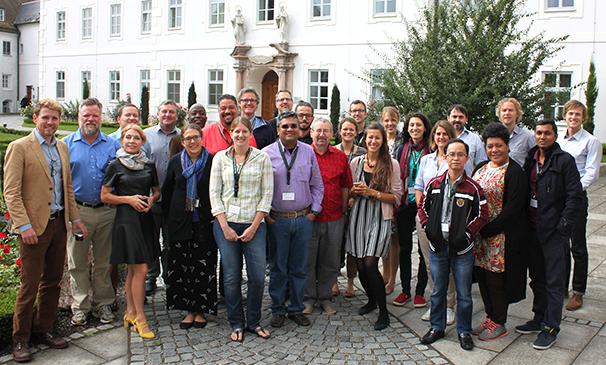 The 2016 meeting of the Resilience Academy was held in Bavaria, Southern Germany, and focused on bringing together the ideas generated at previous meetings and then creating tangible outputs to inform policy making. The latest edition of the Resilience Academy Bulletin provides an overview of the 2016 meeting, introduces several members – including academics from UNU-EHS, and looks to the future, with the project due to be concluded with a final conference in Washington in December. Read the Resilience Academy Spring 2017 Bulletin .